Nishkam Civic Association (NCA) engages in interfaith work (with faith communities other than Sikhs) as part of our civic engagement agenda in order to create harmony, peace and respect in wider society locally, nationally and internationally. This activity takes place in a variety of ways, through initiating networking and engagement, hosting and facilitating conferences, participating in interfaith events, engaging in dialogue, and supporting other interfaith organisations & events. All of NCA’s services are open to all. 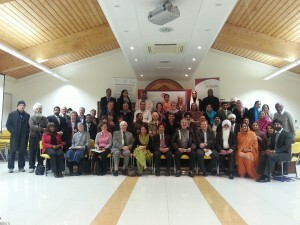 In particular engaging and celebrating UK’s National Interfaith Week and the World Interfaith Harmony Week.